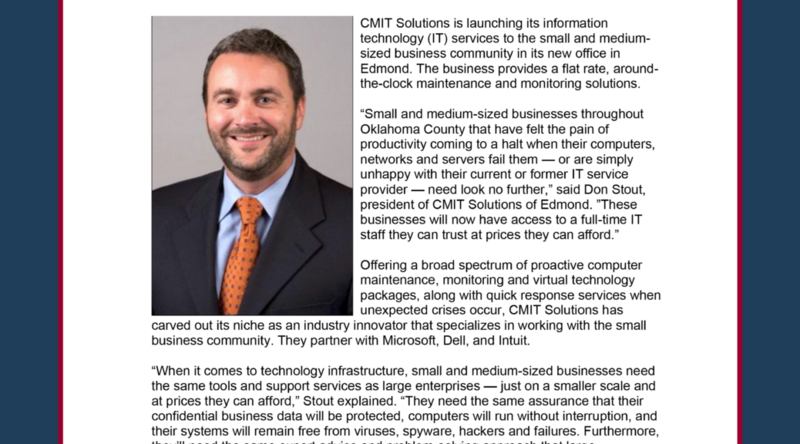 All Points PR secured press coverage with The Edmond Sun for client CMIT Solutions. The article shared word of the franchise’s launch in Edmond, offering around-the-clock maintenance and monitoring solutions for the local community. Coverage ran online.